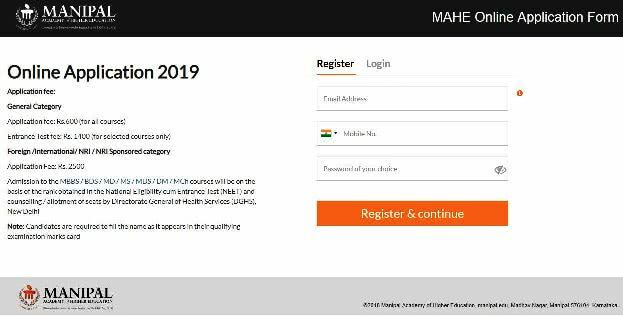 MU OET 2019: MU OET stands for Manipal University Online Entrance Test which is organized by the Manipal University (Private University). MU OET is a university level exam conducted for the admission in various affiliated colleges. Manipal University offers admissions in the several Under Graduate and Post Graduate programs in the field of Engineering, Applied Science, Medical, etc. Latest Update: Result for the MU OET 2019 exam conducted until April 23, 2019, has been released. Check Here. Latest Update: MU OET Slot Booking Started Find the Direct link and Check the Procedure Below. Latest Update: MU OET 2019 Exam Dates Announced. Check in the table below. Manipal University Organizes MU OET 2019 every year in the month of April. The Application Form is available Now. UG courses are B-Tech, B-Pharm, BCA, B.Com, etc. whereas Post Graduate will include M-Tech, MS, Ph.D., Medical, MCA, MBA, etc. 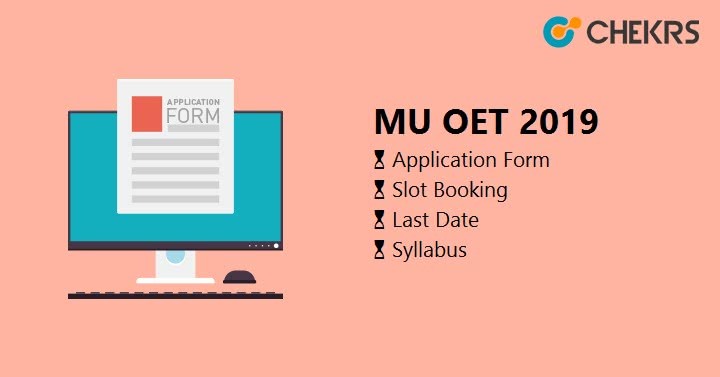 Check full article to get full details of the MU OET Application Form and other events. Manipal University offers various courses in various UG and PG level. So here we are providing the important dates regarding the MU OET 2019. The application process starts from last week of November 2018 to 2nd week of April. The MU OET Schedule is given below the table. There is no Age Criteria for the candidate to apply. The minimum mark required is 50% to get the seat in MU OET Counseling 2019. The candidate must pass the intermediate level (10+2) from the recognized board like CBSE, ICSC, etc. The candidate must have achieved with minimum 50% Aggregate in Physics, Mathematics and any of the optional Subject. The Candidate should have Physics, Mathematics, and English as a mandatory subject with any of the following subject Chemistry, Biology, Economics, Computer Science. The candidate must pass the intermediate level (10+2) from any recognized board like CBSE, ICSC, American 12th grade or any other equivalent Board. The minimum aggregate in intermediate level is 50%. The candidate must have B.E. / B-Tech degree or equivalent bachelor degree. The minimum Aggregate required to apply is 50%. First Applicant must visit the official website i.e. manipal.edu/muhtml. If registered than Login this time, Select your course and in the new form fill your Details like Name, Address, Email-ID, Mobile Number, etc. Now fill your remaining details like education qualification, Upload required documents like scanned photo and signature, etc. Once you filled the Application form cross verify before submitting the form. Then take a print out of the Form. For B.Tech: Subject like Physics, Chemistry, Mathematics, English and General Aptitude based on the intermediate level. For M.Tech: Subjects include the respective discipline you opted for and Engineering Mathematics. For BBA: Subjects related to Business administration at an intermediate level with Numeracy, Conceptual, Case Study, General Awareness, General English. Divide the syllabus into easy and hard parts. Give more time to the hard part and less time to the easy once. Cover the entire syllabus; do not leave anything before the exam. Time Management can save you some extra time for the preparation, so always manage Time. Practice will improve your Speed and Accuracy and will get you good Scores and Ranks. Don’t stress yourself out, use 5 minutes break as the stress buster. Sample papers will be available on the official as well as another site on the Internet. Once you fill the form the next thing is how to prepare for exam process (Online Test, GD/PI) and to crack it. MU OET Sample Papers will help you to practice as well as cover the entire syllabus. They even have some topics which are not in the book but have come in the previous exams. You can practice and prepare with Sample Papers. MU OET Online Mock Tests will help you to know how your preparation is and where you stand after covering the syllabus. It will also give your weak points. MU OET Slot Booking will start at last week of March 2019. The applicant can book a slot through Unique login Id and password. Once the online link is available on your login Id then choose the Test Center, Exam Date, and City. Once you submit those details. Then the confirmation email will be sent to you, then you can take print out of the MU OET Hall Ticket 2019. The Result and merit list will be declared on the official site of Manipal University after the conduction of the MU OET Exam. The applicant, who scores the minimum 50% criteria, is eligible for the further admission process. The second attempt will also provide to the candidate if they not satisfied with their performance in the first test. The counseling date will be in the First week of June 2019. In this candidate’s document will be varified. And candidates will fill the choices in the form. Once the MU OET Counseling 2019 is finished the provisional seat allotment letter will be given. Once the documents are verified and you pay the token amount of fees then it will be confirmed later. There will be a Spot counseling if the seats are still will remain after the counseling.